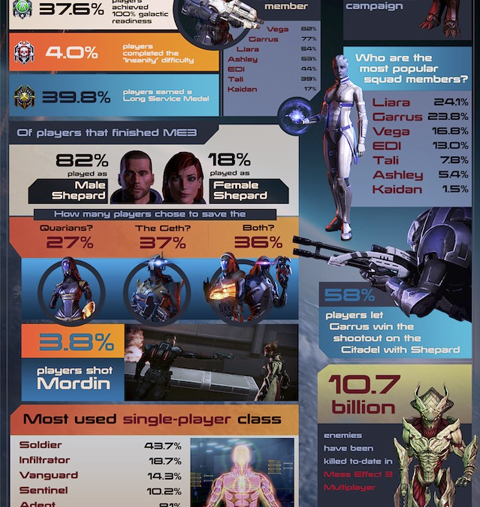 Well, the numbers are in and it turns out Mass Effect players are all murderers, massacrists, and, despite this, still fall into the camp of Paragon. Over the course of 12 months since its release, more than 10.7 billion enemies have been killed in the game and yet 64.5% of players still had the Paragon rating. This and many more fun facts and figures are infographicked below. 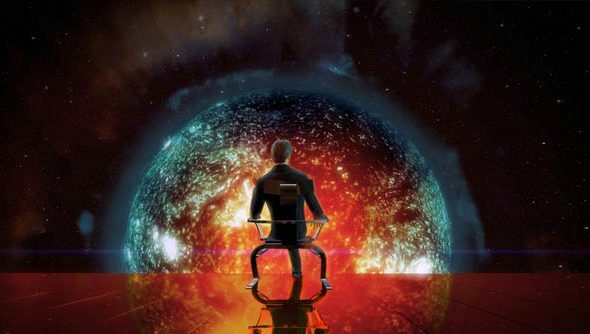 The information spilled out from a Bioware PAX East panel on Saturday, where the members of the development team discussed the lessons they’d learned in the aftermath of releasing the closing entry into their trilogy. You gotta feel a little sorry for that Kaiden fellow. I mean, not only is he one of the least picked squad mates but he’s also the least likely to survive. Is it punishment for spending so much time lazing about on the ship?